Fortnite is one the biggest video games and trends of the year — and the game has just fittingly partnered with one of the biggest acts in electronic music, Marshmello. Fully equipped with voiceovers and Mello drops, the full set kept it Mello at 2pm today, and will encore tonight at 2am. The man behind the mask is responsible for hit records like “Happier” with Bastille, “Wolves” with Selena Gomez, “Alone,” “Silence” with Khalid, “You Can Cry,” and “FRIENDS” with Anne-Marie, among many others. According to Mello’s manager, Moe Shalizi, at least 15-20 million people attended the virtual concert across 60 million servers. Concerned about dying or being eliminated during the Marshmello concert? Worry no more! Those who are taken out will re-spawn in order to continuing listening to the exclusive Fortnite set. 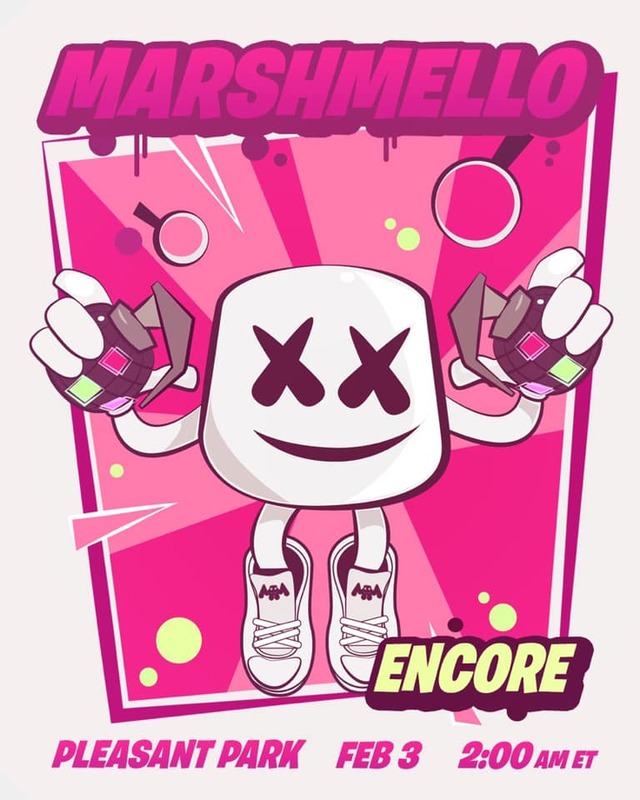 The recent partnership between Marshmello and Fortnite comes following the release of Ninjawerks on Astralwerks, which featured collaborations between Ninja and some of the biggest names in electronic music, including Kaskade, Tiësto, 3LAU, ARTY, Dillon Francis, Alesso, and more.